Once your form is completed, email it to Brenda Perrenoud within 24 hours of the case review. 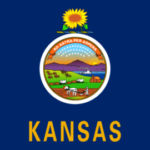 We look forward to connecting with you to further explore evidence-based care that improves the health of Kansans. These events are conducted online using Zoom. You may participate via a computer or handheld device, or you may call in by telephone. To ensure a smooth experience, please test your Zoom connection in advance of the event. Follow these instructions to join the event.